Approved by Lexus as original equipment and part of the AVS dB range, this tyre is great for those looking for comfort and quiet. Designed to ensure maximum comfort the AVS dB range will suprise many with it's superb handling and safety features exceeding expectations in nearly all areas. The range is designed to be ultra quiet. With great perfomance in both the wet and the dry conditions, the AVS dB E70J is a great choice for those not convinced of the benefits of winter tyres yet. Scoring well in both internal and external EU tyre labelling tests in all sizes. 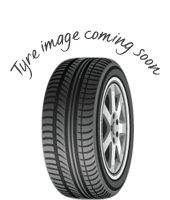 Approved by Lexus as original equipment and part of the AVS dB range, this tyre is great for those looking for comfort and quiet. Designed to ensure maximum comfort the AVS dB range will suprise many with it's superb handling and safety features exceeding expectations in nearly all areas. Designed to ensure maximum comfort the AVS dB range will suprise many with it's superb handling and safety features exceeding expectations in nearly all areas. The range is designed to be ultra quiet.With great perfomance in both the wet and the dry conditions, the AVS dB E70J is a great choice for those not convinced of the benefits of winter tyres yet. 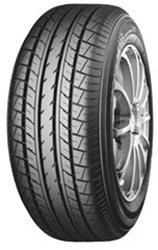 Scoring well in both internal and external EU tyre labelling tests in all sizes.